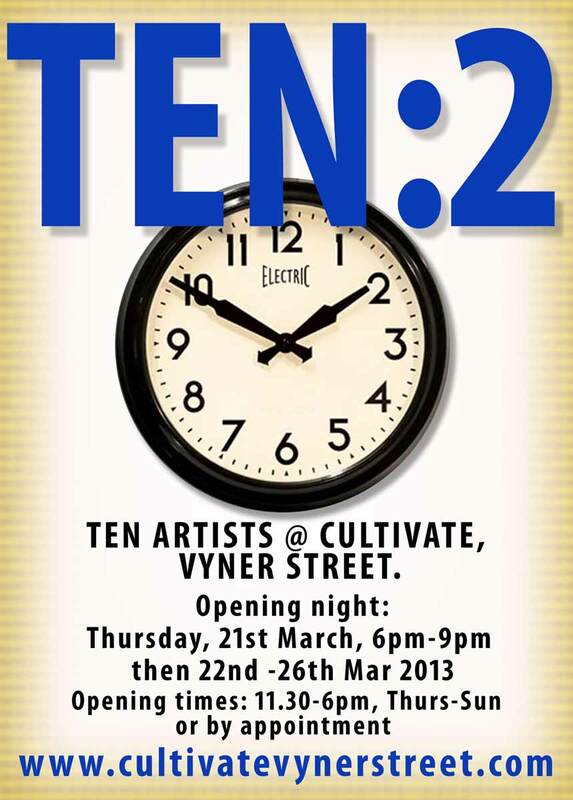 LATEST ARTIST CALLS at CULTIVATE: TEN: 2, RED REVISED, SPRING…..
26th FEB – ARTIST CALLS UPDATE,,, We have three March artist calls at the moment. 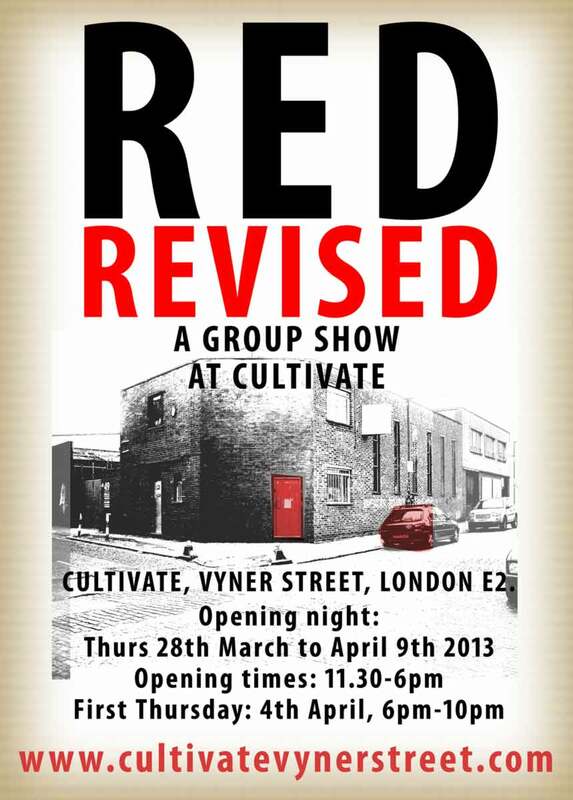 The Spring show is almost full now, we have two new shows, the Red Revised group show and the second Ten show…. RED REVISED – Eighteen months on from the original takeover of our corner space, smack bang in the middle of Vyner Street and all that the street stands for, eighteen months on from the night of the naked red men, the rush to get the door open and then our first formal group show, Red… Eighteen months on we shall revisit the red theme. and in doing so, exam what was originally only going to be a six month artist-run exploration of things from a gallery-person’s point of view via the full time running of a space right in the centre of things. RED REVISED will be a two week group show. For a second time we will fill our walls and plinths with art of a predominantly red nature, a diverse show and a busy space united in its redness. RED REVISED will open on the evening of Thursday March 28th, with a second late night evening opening for April First Thursday (4th April). Usual gallery open times during the day (11.30am – 6pm Thursday to Sunday, by appointment, Monday – Wednesday). SPRING @ CULTIVATE VYNER STREET – Coming up on Thursday 7th March until March 20th and including March First Thursday evening (7th March), we have a group show called SPRING. February 26, 2013 in ART, CULTIVATE.